The forex broker iFOREX enjoys a very high reputation and a large degree of recognition in the industry. Already in 1996, iCFD Limited, a group of foreign exchange traders and bankers, was founded. iCFD Limited is a part of the iFOREX Group, an experienced company in the financial sector. IFOREX is, therefore, one of the oldest brokers and has many years of experience. At iFOREX, traders can trade commodities, currencies, equities and indices. Both the popular trading of Forex currency pairs as well as the CFD trading is possible through this broker. Other advantages of iFOREX include the low minimum investment, the comprehensive training offer, a high leverage ratio and low fees. This Forex and CFD broker is suitable for beginners, advanced and also for professional traders. The company is headquartered on the Greek island of Cyprus. Because it is based in the European Union, the broker must adhere to the strict EU directives. In addition, iFOREX is regulated by the Cypriot Financial Regulator CySEC. Under the terms of the MiFID, the broker has to book and manage his customer deposits on separate accounts. In the event of insolvency, they can not be used by the creditors. Thanks to Cypriot deposit protection, iFOREX customers do not have to worry about their money. The existing Deposit Guarantee Fund covers 100 percent of customer deposits up to a maximum of EUR 100,000 per customer. Due to strict guidelines, regulation and deposit protection, iFOREX is both a secure and a serious broker. In addition, the company is one of the oldest in the Forex and CFD industry. The iFOREX website leaves a very professional first impression. The broker offers its customers a good selection of underlying assets, several trading platforms, and many additional features. Traders who choose iFOREX as their broker can use shares, currencies, commodities and indices. In addition to the currency pairs and the differential contracts, the binary options are also available. The iFOREX asset index comprises a total of 100 different underlyings. The selection is based on commodities such as gold, silver or oil, indices such as the DAX or the Dow Jones, currency pairs such as EUR / USD and shares of many world-renowned companies. The range of shares is particularly extensive. In addition to the Japanese shares of Toyota or so there are also US documents like Google or Apple, Chinese securities like Baidu or Alibaba, French shares like Total or BNP Paribas and of course also German securities like Siemens or Daimler. In addition, share prices are much more volatile compared to commodities. Compared to the other brokers, the selection at iFOREX may be somewhat smaller, but all important underlying assets are available. Trading conditions are also very attractive. IFOREX does not impose any additional fees on trading and is limited to spreads only. For the popular pairs of currencies, such as EUR / USD, the traders have to pay a spread of 3 pips. That corresponds roughly to the usual market conditions. Also, the amount of the minimum deposit is 100 euro. The trading is possible with 10 euros. The maximum leverage is 1: 400. As a result, customers of iFOREX can also move a large trading volume with a very low investment. On the other hand, of course, the risk increases with such high leverage ratio. With iFOREX’s special Negative Balance protection program, however, traders can never lose more money than their bet. This is a great advantage. In terms of trading, the broker is limited to the most important actions. Traders can thus only participate in call / put trading. Customers of iFOREX have the choice between 3 different trading platforms. The platforms are designed for the Forex and CFD trading, but trading with binary options is also possible. The WebTrader runs directly over the Internet browser and does not have to be installed on the computer. The web-based platform works under every operating system and is very clear. Both beginners and professionals can cope with this trading platform. 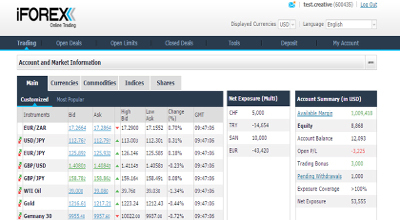 If the traders like to be more complex, they can alternatively use the iFOREX FXnet platform. To do this, you must download and install software from the Internet on your computer. The program runs under all common operating systems and offers the traders a wide range of functions. The trading platform is very professional and user-friendly. It is more suitable for experienced traders. These can, among other things, use one-click order opening, adapt the platform to your individual requirements, and use the various integrated diagrams. IFOREX has also thought of traders who prefer to trade on the road. In addition to the two trading platforms, there are mobile apps for Android and iOS devices. These can be downloaded and installed free of charge and enable customers to trade easily from the road. The 3 different trading platforms serve every kind of need and speak to beginners, advanced as well as professional traders. Potential new customers who are not yet sure whether iFOREX offers them can not open a demo account. IFOREX does not provide this extremely useful function. This is, of course, very bad for inexperienced traders, as they can not test the platforms of iFOREX without cost and risk. A trade account can be opened at iFOREX with as low as 100â‚¬. The registration is very simple and done within a few minutes. When the users confirm the registration and verify their trading account, they receive a welcome bonus of 25 euros. New customers who deposit 5000 euros or more will receive the Diamond package as a reward and will automatically become iFOREX VIP customers. The VIP users benefit from a personal customer consultant, receive a cash back on each trade, receive free SMS notifications and real-time market alerts, and have access to a variety of charts. This broker offers his clients a wide range of different methods for deposits and withdrawals. These include, of course, bank transfers and credit cards. Customers from Germany can carry out transactions via instant transfer or Giropay. In addition, the online payment services Webmoney, Skrill, QIWI and cashU can also be used. As a rule, payment requests are processed very promptly and carried out within a few working days. Customers who withdraw cash directly to their bank account must pay a fee of at least 20 euros. This is quite high compared to the other brokers and definitely one of the few disadvantages of iFOREX. Customer support for iFOREX is available worldwide and is available 24 hours a day from Monday to Friday. Customers can either reach the support directly via hotline (free 0800 number) or live chat or alternatively, of course, write an e-mail. German Traders benefit from a German-speaking customer support. In general, the support requests are processed very quickly and issues and questions are resolved quickly. In addition, iFOREX also offers its customers technical support. This consists of a technical recall and a technical remote support. Only the fewest Forex brokers offer such customer service. IFOREX can also convince you with a rich offer in the field of education. Traders will be informed of important news and events through the official blog. In addition, there is a training package and this includes both a beginner and an advanced course. Beginners can get detailed information on how the trading platform is used and how trading generally works. Advanced users benefit from useful strategies. In addition, iFOREX also offers its customers a free individual training. Traders receive a detailed PDF manual and complete access to the Internet course. Both the customer support and the extensive training offer of iFOREX are very convincing and they separate the broker from the broad masses. The Forex and CFD broker iFOREX is definitely a reputable and secure provider. This is operated by a very experienced company. Thanks to strict European directives, high deposit guarantee and regular regulation by the Cypriot Financial Supervisory Authority, traders do not need to worry about their money. With around 100 underlying stocks, the trading offer is not exactly huge, but the most important underlying assets are still available. With iFOREX, traders can trade not only currency pairs or differential contracts but binary options as well. The spreads correspond to the usual market conditions. Particularly positive are the low minimum trading price and the negative balance protection program. The registration is done quickly and every customer gets a generous welcome gift. 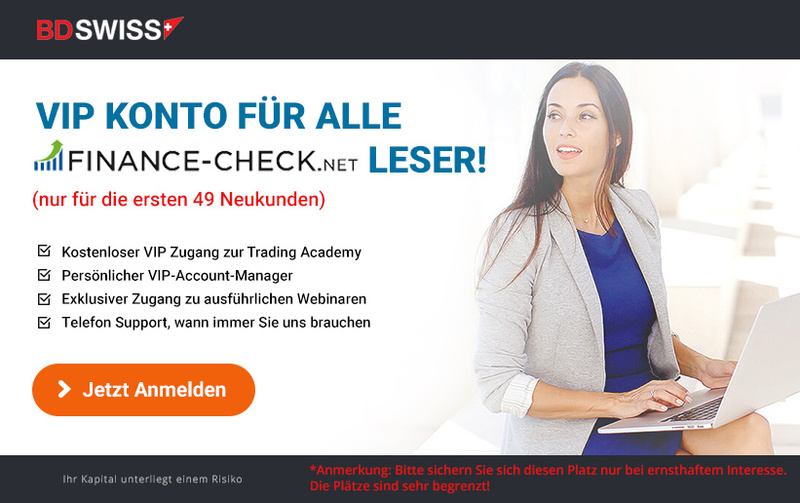 Professional traders receive a lot of advantages with the first deposit of at least 5000â‚¬ and are granted the VIP status. Thanks to the 3 different trading platforms, there is something suitable for every type of trader. The platforms are clearly designed, easy to use and have all the important functions. Among the few disadvantages of iFOREX are the non-existent demo account, the exclusive call / put trading and the high fees for bank payments. The broker can easily compensate for these disadvantages with the customer-friendly and professional support and the really extensive training courses.